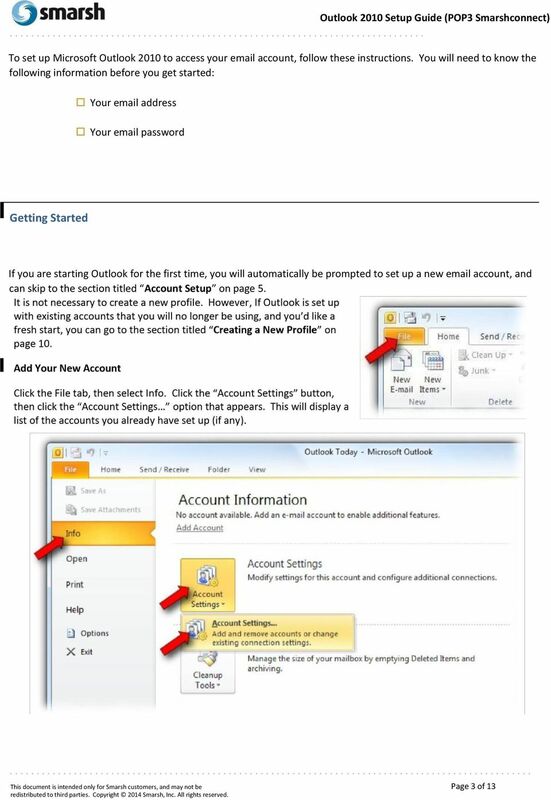 Download "Versions Addressed: Microsoft Office Outlook 2010/2013. Document Updated: 2014. 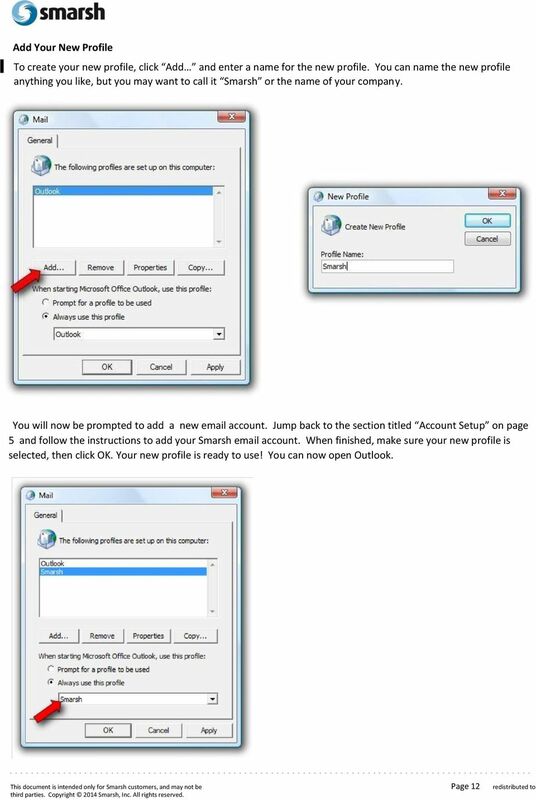 Copyright 2014 Smarsh, Inc. All right reserved"
10 Creating a New Profile Outlook 2010 Setup Guide (POP3 Smarshconnect) Most people do not need to create a new profile. 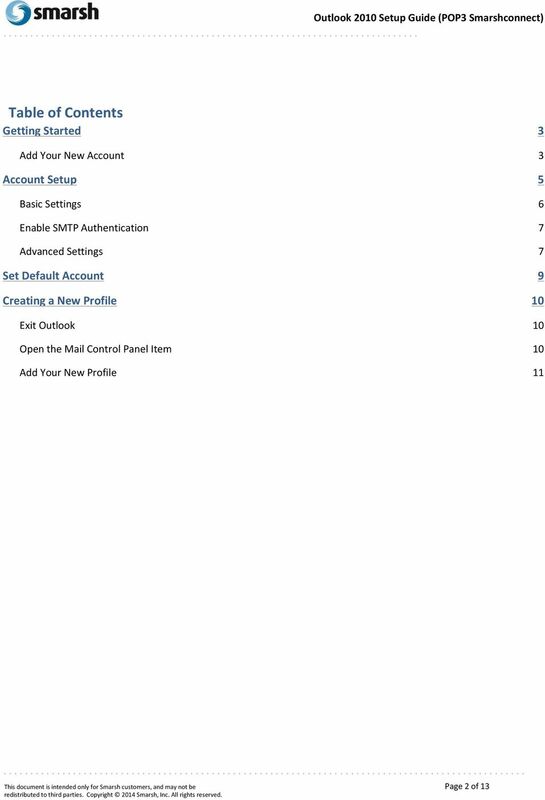 However, if you are switching from an old account that you no longer intend to use at all, or you just want a completely fresh start, creating a new profile is easy to do. 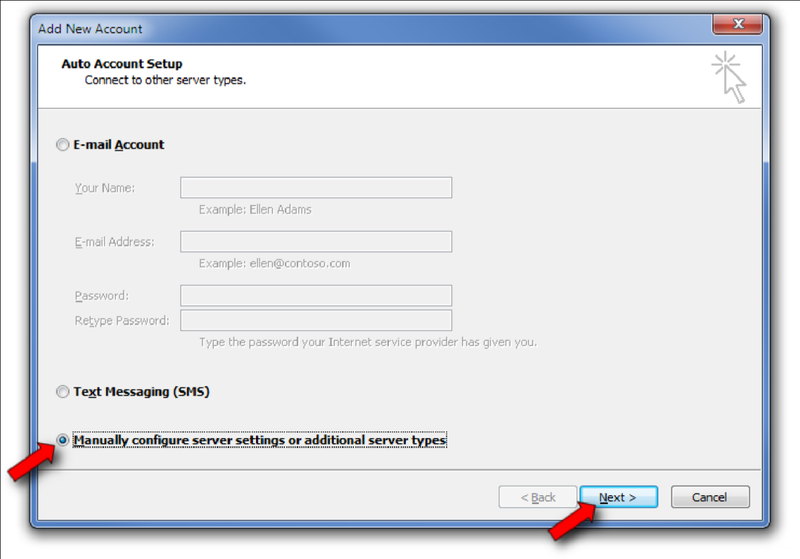 Exit Outlook Begin by closing all Outlook windows (including messages) and exiting out of Outlook. 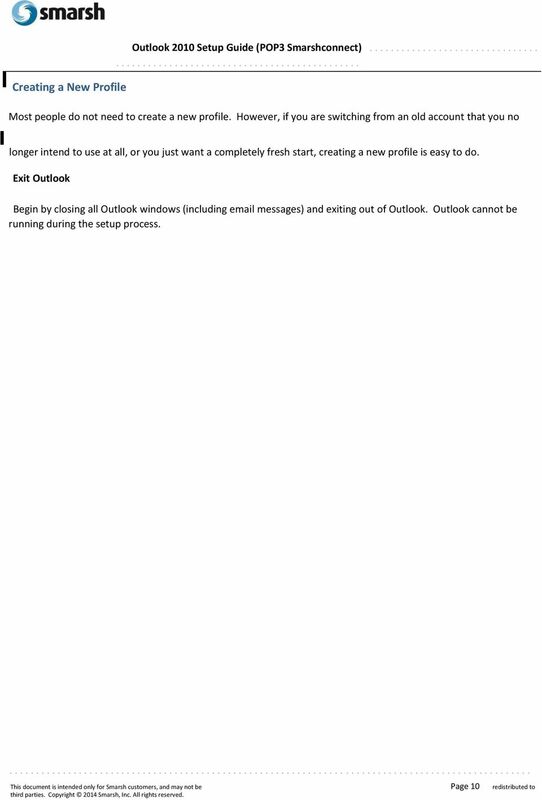 Outlook cannot be running during the setup process. 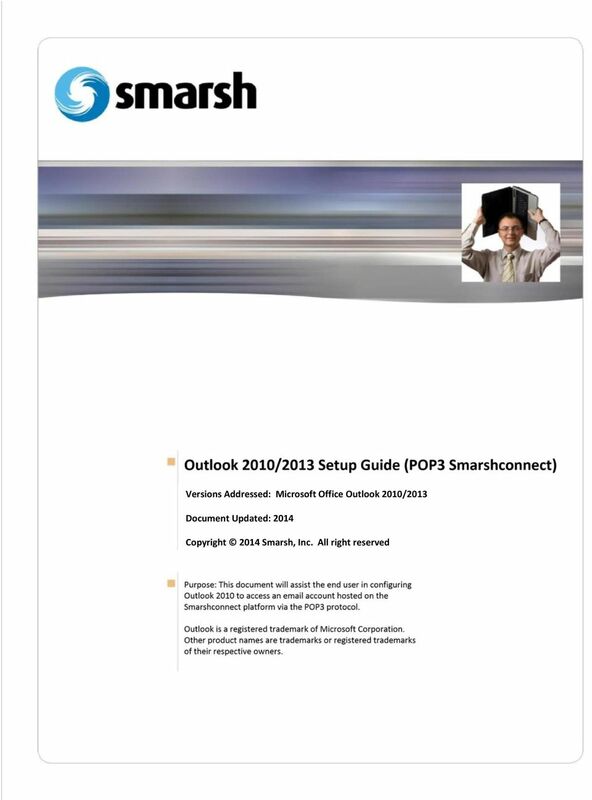 This document is intended only for Smarsh customers, and may not be Page 10 redistributed to third parties. Copyright 2014 Smarsh, Inc. All rights reserved. 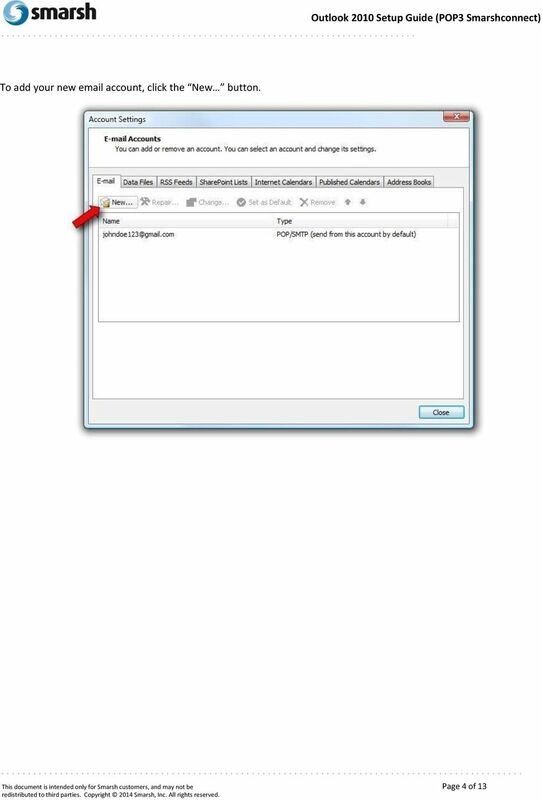 11 Open the Mail Control Panel Item Click on the Start button and open the Control Panel. 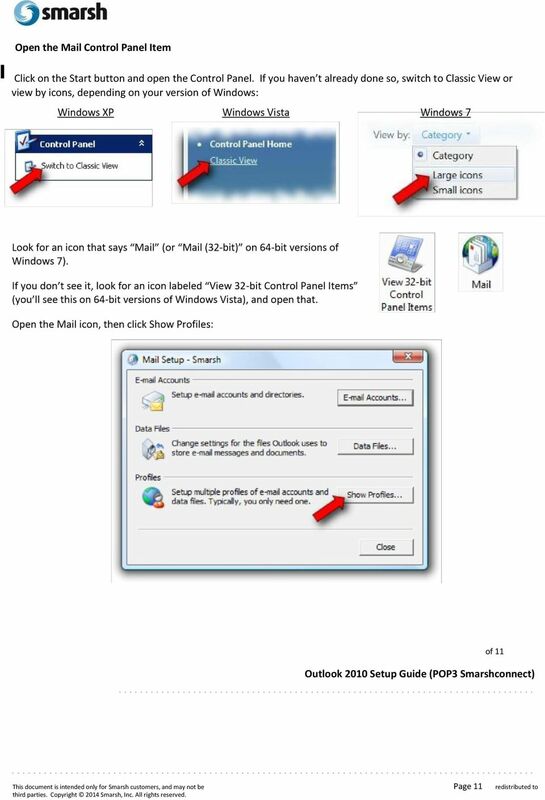 If you haven t already done so, switch to Classic View or view by icons, depending on your version of Windows: Outlook 2010 Setup Guide (POP3 Smarshconnect) of 11 This document is intended only for Smarsh customers, and may not be Page 11 redistributed to third parties. Copyright 2014 Smarsh, Inc. All rights reserved. 12 Add Your New Profile To create your new profile, click Add and enter a name for the new profile. 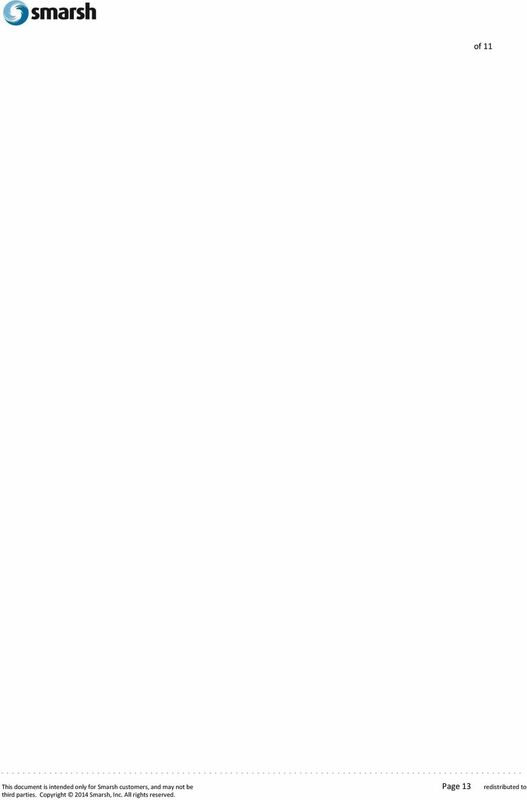 You can name the new profile anything you like, but you may want to call it Smarsh or the name of your compan y. 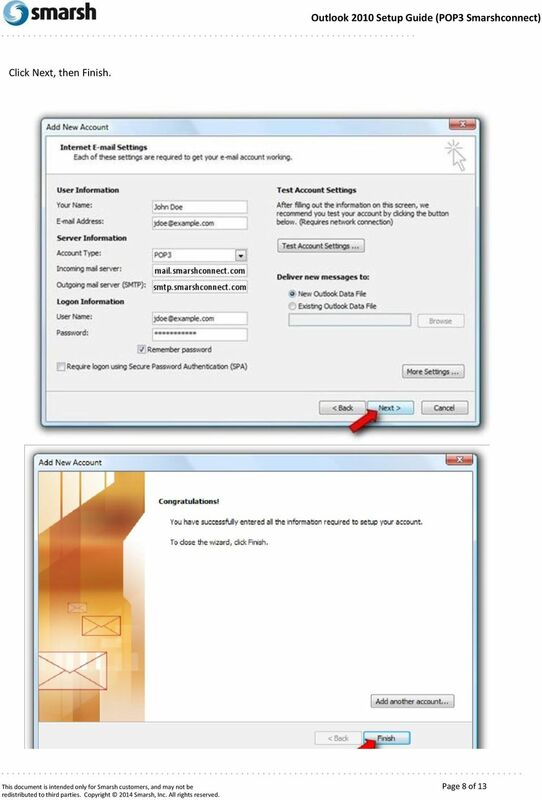 You will now be prompted to add a new account. 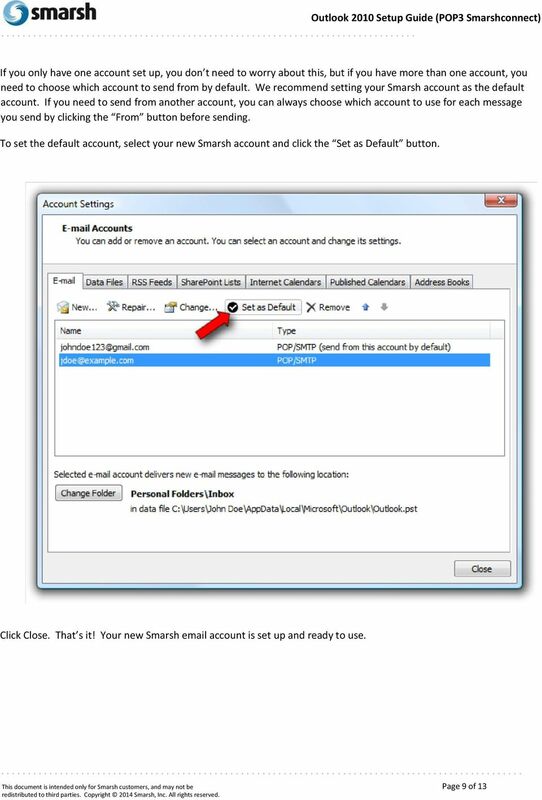 Jump back to the section titled Account Setup on page 5 and follow the instructions to add your Smarsh account. When finished, make sure your new profile is selected, then click OK. Your new profile is ready to use! 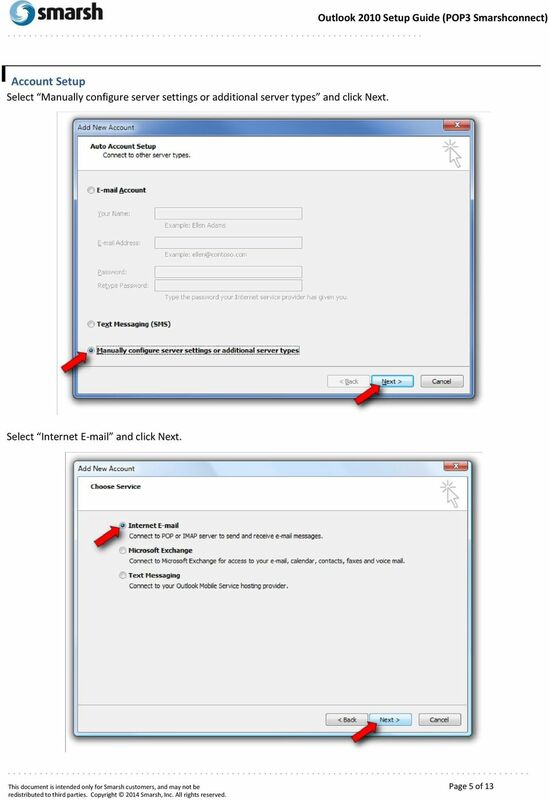 You can now open Outlook. 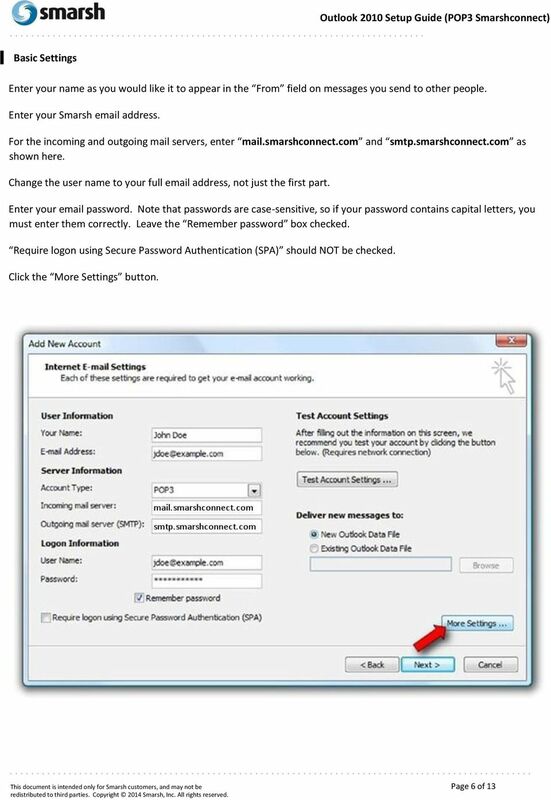 This document is intended only for Smarsh customers, and may not be Page 12 redistributed to third parties. Copyright 2014 Smarsh, Inc. All rights reserved. 13 of 11 This document is intended only for Smarsh customers, and may not be Page 13 redistributed to third parties. Copyright 2014 Smarsh, Inc. All rights reserved.